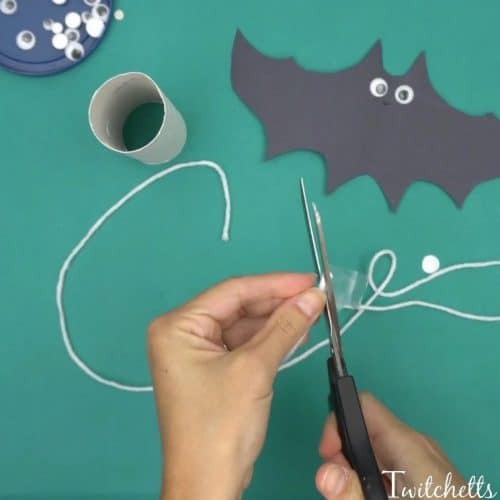 How to make fun construction paper bats that fly! 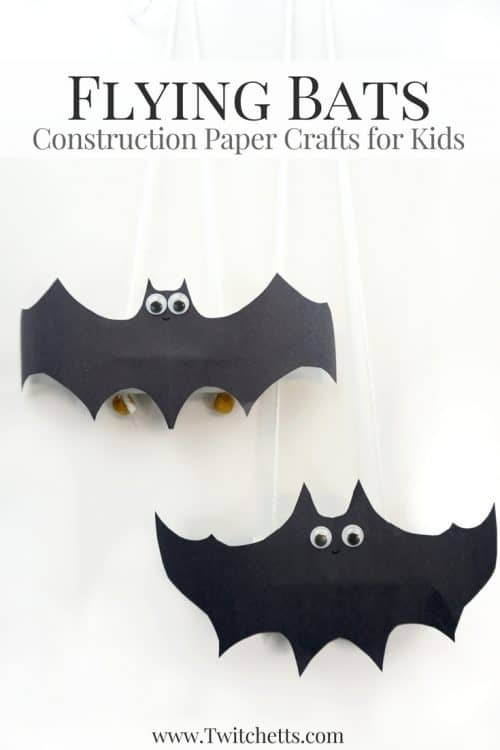 Create flying construction paper bats using black construction paper and toilet paper tubes. 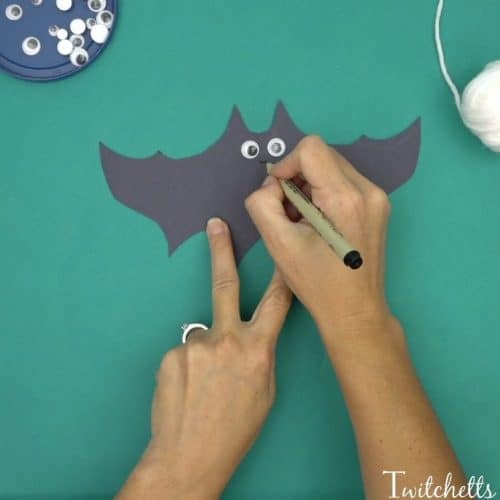 This simple craft will lead to fun kid-approved Halloween bat decorations. If you work with a colored pack of paper, chances are when you get near the bottom of the stack you are left with a lot of brown and black construction paper! 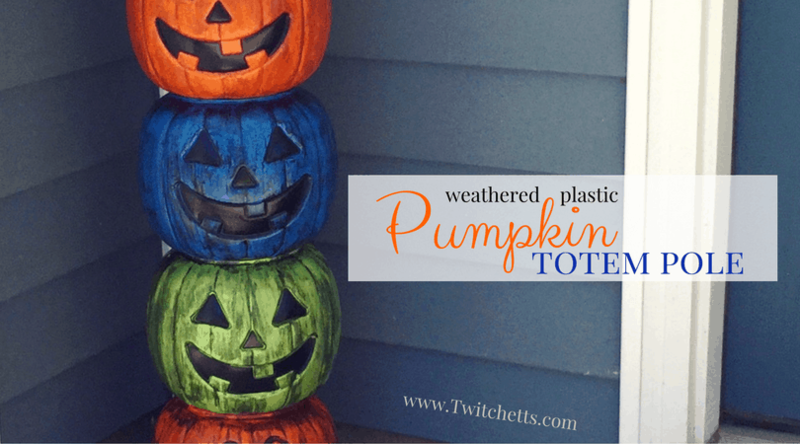 Luckily, we can use a bunch of the black up creating fun Halloween crafts for kids! 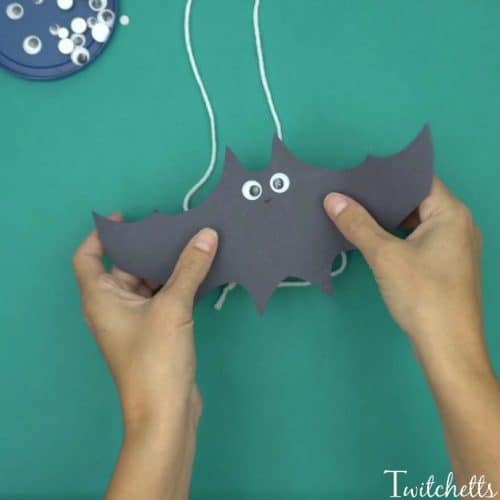 When you are done creating these bats make sure to check out our flying ghosts and climbing spiders too! 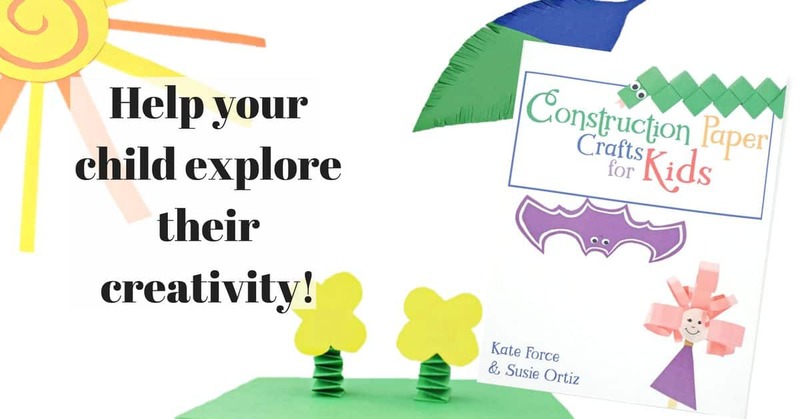 These step by step instructions will have you creating a fun construction paper bat in no time. Check out the video, at the end to see it all in action! 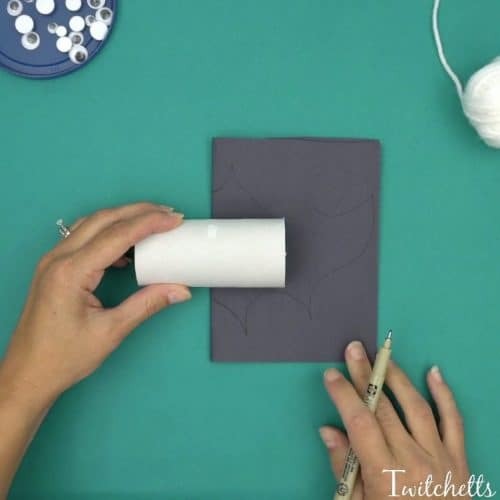 Fold your black construction paper in half. Place your tube on top so you can make sure your bat will cover the tube when you are finished. Use your marker to plan out the shape of half your bat. 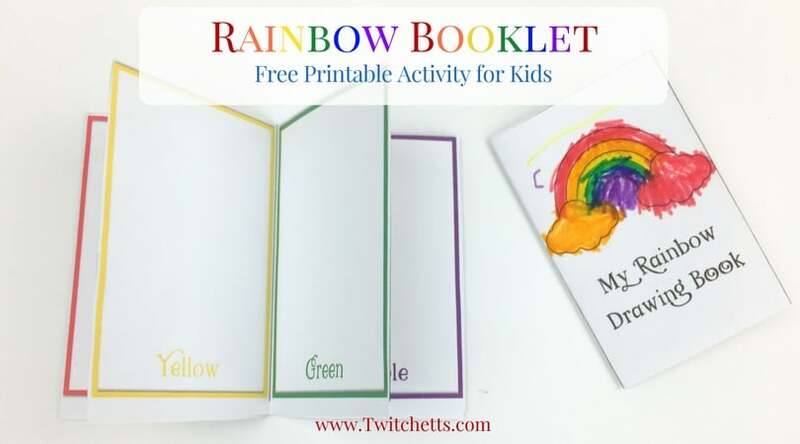 This can be on the back side so if you make a few mistakes it’s OK.
Cut out your design and add on a couple googly eyes and smile. Set your bat off to the side while you construct your flying device. Create 4 hole punches in your tube. They should line up across from each other horizontally and vertically. Fold a piece of tape over the end of your string. Then trim it to a point. This will create a needle-like point at the end of your string, making it easier for your little one to string the yarn through the tube. String on one bead, pull it all the way to the far end and tie in place. Next, go in one hole then back out the other side of the tube, across the tube, then back down on the other side through both holes. 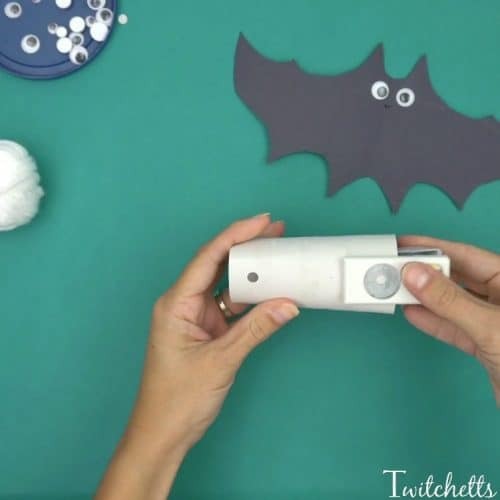 Using a glue stick, add your construction paper bat to the front of the tube. 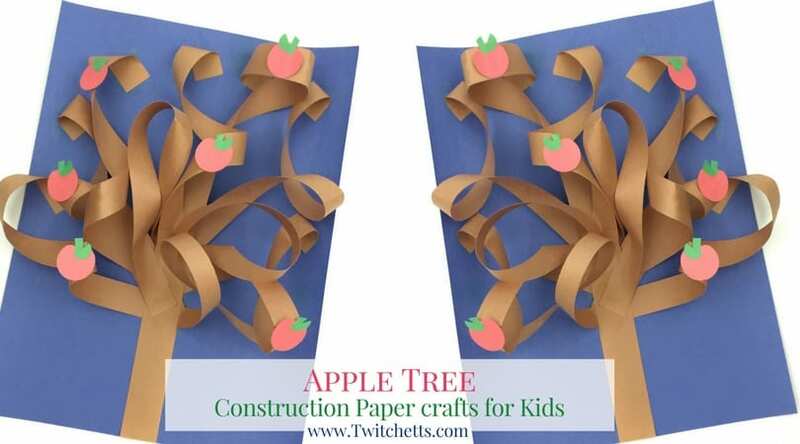 These paper Halloween decorations are perfect to hang up on a wall or window! 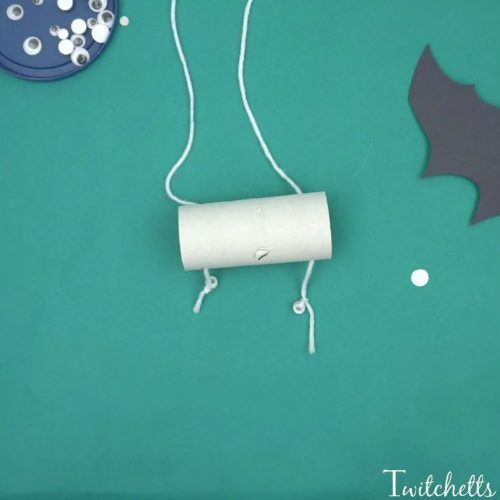 Grab the beads and pull to the sides to make the bat fly!